Abnormal activity of the thyroid gland in the neck (be it over- or under-action), may lead to inflammation in the delicate tissues within the orbit (the eye socket). This inflammation is a form of immune ‘auto-reactivity’, but the exact factors which link thyroid disease and TED remain uncertain. TED usually affects both eyes (although often this may be to an asymmetrical degree), with women being affected more often than men. In the great majority of patients, TED follows a mild course and artificial tears and / or anti-inflammatory drops alone may suffice to control symptoms. In all patients, thyroid control should be optimised, and smoking – a known risk factor for severe disease – should be stopped. Oral Selenium supplements are now considered beneficial in mild forms of disease. 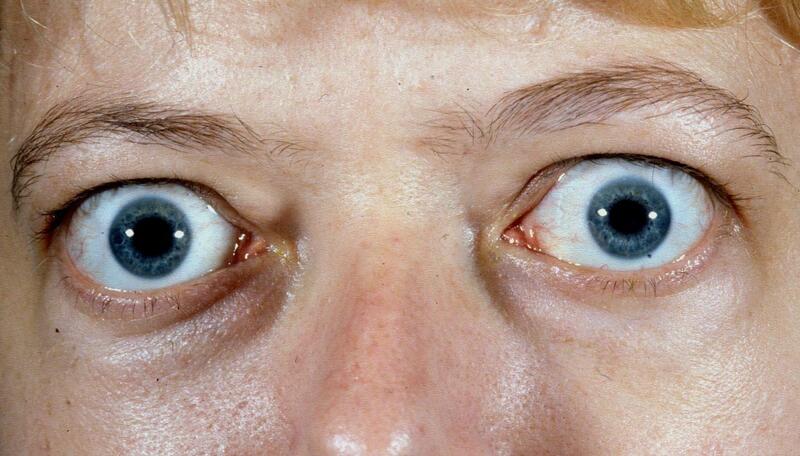 Although the inflammatory phase in TED is typically self-limiting, lasting between one and two years, active orbital inflammation must be treated to avoid debilitating long-term complications (these including eyelid retraction, double vision, proptosis – protrusion of the eyes – and loss of vision). Current treatments to manage active orbital inflammation include oral or intravenous steroids (or other immunosuppressive medicines such as Azothioprine), and low dose orbital radiotherapy, which is considered to reduce the need for (and therefore the risks of) systemic immunosuppressive treatment. A very small proportion of patients suffer with marked inflammation and do not respond adequately to the treatments referred to above. In these patients, urgent surgical intervention (within days or weeks) may be necessary to protect vision. This surgery is called ‘orbital decompression’, because it relieves the inflammatory pressure around the eye and the optic nerve behind the eye. Other surgery, including operations to treat bulging eyes (proptosis), double vision and abnormal eyelid height or fullness, are usually performed once the disease has settled. Since orbital decompression surgery (to treat stable proptosis) can affect both double vision and the appearance of the eyelids, this surgery, when required, should be performed before eye muscle or eyelid surgery. When is an orbital decompression required? 1. 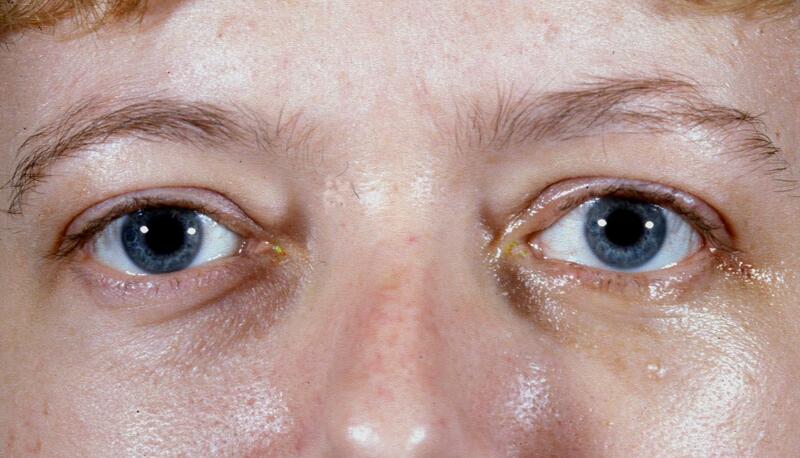 Optic neuropathy (visual loss) not responding adequately to immunosuppression – urgent surgery may be required. 2. High orbital pressure with engorged blood vessels and raised intraocular pressure (secondary glaucoma) – surgery may be required within a matter of months. 3. Stable proptosis (‘bulging’ eyes) – if desired, a‘cosmetic’ decompression surgery is planned once the degree of proptosis is stable for a minimum of six months, with optimum thyroid control and cessation of smoking. Surgery is usually performed under a general anaesthetic, typically with a one to two days stay in hospital following surgery before being discharged home. The amount of surgery required is influenced by the severity of disease and degree of proptosis. Of the four ‘walls’ of the orbit, the medial (inner), lateral (outer) and inferior (floor) can be decompressed and some fat can be removed from the orbit. Incisions are made within the conjunctiva on the inside of the eyelids or in skin creases in the eyelids to hide or camouflage surgical scars. Orbital decompression is a major operation, and the scale of surgery should not be judged by the small incisions involved. Thus, although the skin incision settles over a few weeks, natural repair of the deeper tissues can take many months, and accounts for occasional deeper ache or discomfort during this healing phase. Swelling and some bruising of the eyelids can develop in the week following surgery, and this swelling can take a few months to settle completely. As the natural drainage of tissue fluid occurs from the outer corner of the eyelids, fullness of both the upper and lower eyelids is more common after surgery to decompress the lateral wall or the floor. Double vision may occur, or worsen, during this healing period, and can require subsequent surgery to re-align the eyes. Thus, driving and working following surgery may be delayed by several weeks, and this should be taken into account when planning treatment. With lateral wall decompression, hollowness over the bony lateral wall and a sensation of eye movement with eating can rarely occur – these tend not to require intervention. All forms of decompression surgery carry a risk of permanent visual loss, the risk of this (per eye) being in the region of 1 in 1000. In patients with visual loss before surgery visual recovery may be incomplete. With all surgery, there remains a minute risk of neurological injury, and indeed to life itself, this being either due to anaesthesia, surgery, or a combination of both. As with all surgery, the possible risks versus the benefits are very carefully considered for each and every patient before surgery is arranged.